A loan of $6,900 helped a member to purchase rice, beans, flour, etc. Disiana lives in a small, isolated community in the Dominican Republic, known as a "batey." A batey is typically composed of Haitian workers and their families who have immigrated to the DR in order to work in the sugarcane fields. 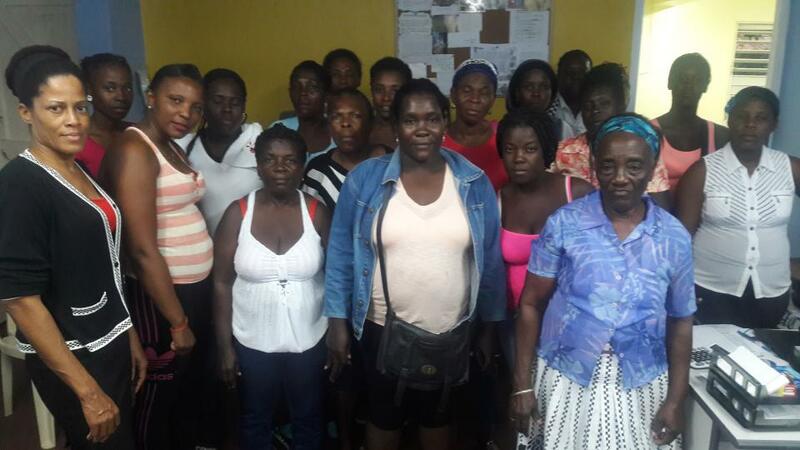 Despite the difficult living situation and general lack of access to the outside world, Disiana and her group members have started small businesses with Esperanza loans, in order to augment their household incomes and help provide for their families. Disiana is the president of her group and a leader in the community. Her small business is a cafeteria where she sells common Dominican foods like rice, beans, bread, juice, and more! More recently, Disiana is exploring opportunities to expand her business and offer a small selection of clothing for her cafeteria clients to purchase. Through this test period she will be able to see if offering diverse merchandise is helpful toward growing her income. Thank you for your consideration of Disiana and her group, Cristo la Fuente 1,3,4,5 ('Christ the Source')! It includes access to healthcare services and business and vocational training.